The DBL 850 Forced Air Dryers are engineered to produce more air with less noise, more reliability with greater economy than any similar dryer Sweeps excess water from wet animals, fluffs hair and dries animals faster than conventional dryers. Adjustable height stand 39-57 with easy roll, 5 leg, no tip base. 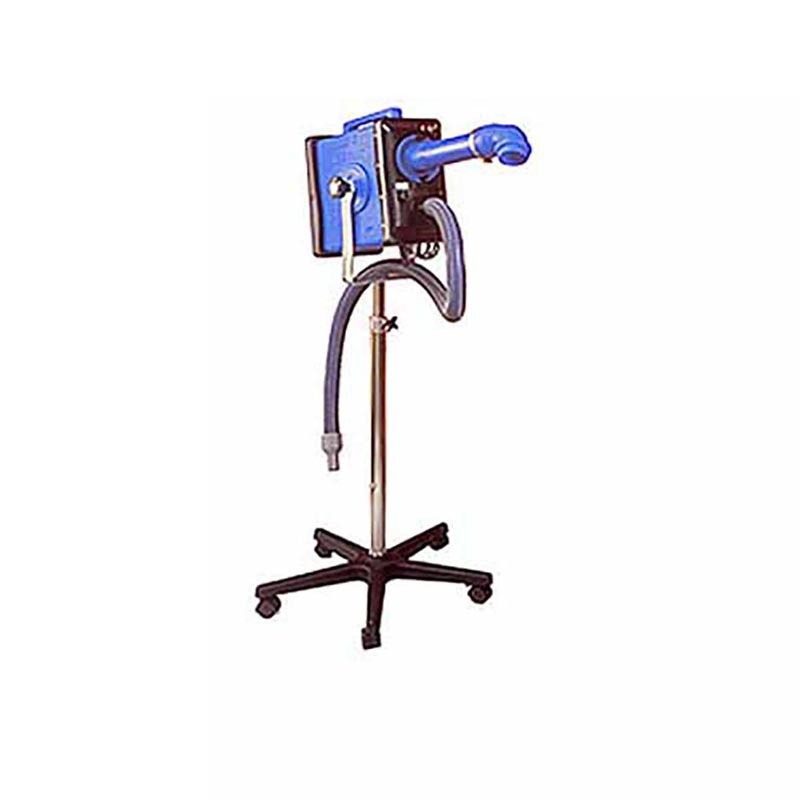 Quick detach extension arm for stand drying with 360 degree rotating nozzle. Two super tough hose-to-cage attachments, one hose union, air diffuser attachment and several nozzles for hand drying. Dual outlet. Twist-on super tough nozzles and hoses, no more pop-off! Dual heavy duty American made motors. All nozzles and attachments. Powerful airflow up to 248 cfm! Warm air 50 degrees above room temperature from flow thru motors. Super-tough cross-link polyethylene dryer body with space-age sound proofing is unbreakable, prevents shock, and quiets operation.